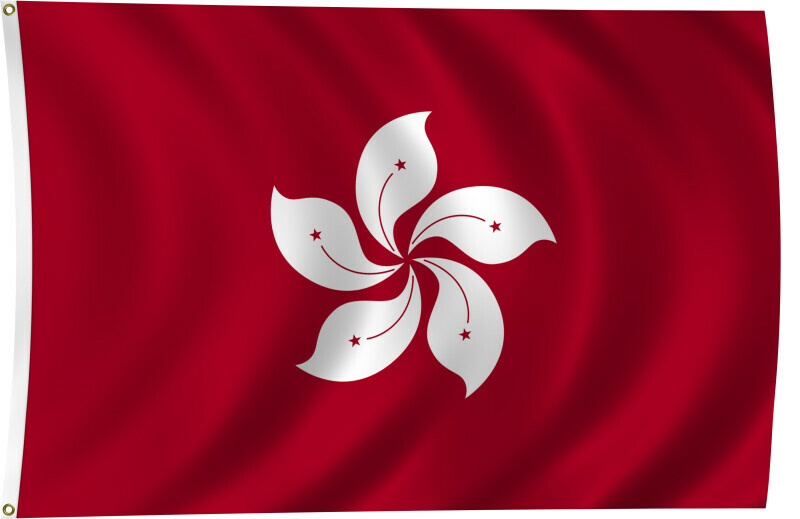 Color flag of Hong Kong. Red with a stylized, white, five-petal bauhinia flower in the center. Flat color and black/white versions of world flags are available on the Clipart ETC website.